Breathing hard, I asked myself how I got here. When we were below, at the bottom of Mt. Horshan, we chose to cycle up the steepest incline – a path that has been nicknamed The Wall Of Death. Ran says it's also the shortest path. Yes, of course. But now I'll need to dedicate every bit of my energy and conquer it. I raise my head and see another large group of cyclists ahead of us, who had also selected the challenge of The Wall Of Death. What brings dozens of people to wake up before dawn, I think to myself, to cycle up and down and up and down again and again? This thought connected to another thought that had been bothering me this week: why don't companies work with objectives? Are their CEO's avoiding challenges? Here, on Mt. Horshan, dozens of cyclists are challenging themselves, and across the country the number reaches thousands. But why does the challenge end here? Why, in business, do so many CEO's avoid the challenge of setting and reaching their objectives? Are CEO's afraid of being monitored? Why do most companies work without objectives, or set objectives but their department or activity managers understand that they aren't really obligated to those objectives? Do they think there is a kind of wink involved? Or a closing of eyes? This isn't a rhetorical question. I don't have an answer. It is clear to me that the answer begins with the CEO. If the CEO's wanted it, everyone would be committed to their objectives. Is it possible that CEO's prefer not to be monitored either? That's hard for me to believe, because at the end of the year, CEO's are assessed on their results, even when they are the owners – at least, the bank assesses them, if not other shareholders. Sometimes it seems to me that CEO's are afraid to confront management members who are not maintaining objectives. Instead of demanding a plan of action to attain the objective, the CEO herself explains to herself why they haven't attained their sales, production or other objectives. For example, at a certain company, when he first began his position, the VP of Marketing & Sales announced that he was not obligated by the objectives because they had been determined without him. The CEO preferred not to confront him, and the VP of Marketing understood the existing power relations and for years, never saw himself as being obligated to the sales plans that were set. Can a VP who underrates his objectives demand a maintaining of objectives from management positions under him? 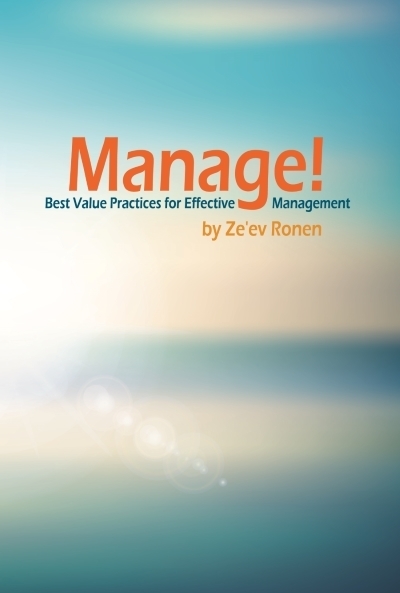 Let's consider the point of view of other managers and VP's. Is it comfortable for VP's to work without objectives? Apparently so, but I think it's a huge mistake stemming from the fear of being evaluated. Let's consider a situation where we are working with all our energy to promote specific issues and we are seeing success. At the end of the year, or in an evaluation discussion with our bosses, they express their dissatisfaction from our work. Surprised, we protest and present our successes in the areas we have promoted. Our boss looks at us and asks why we dedicated energy to an irrelevant issue. Therefore, agreement, coordinating expectations in advance and evaluation work to the benefit of any person holding a company position. Evaluation guides us and presents our successes. That's why it is so important for every one of us. An amazing example of setting and attaining objectives. This week, I visited a very large production plant, with more than 600 employees in three factories. This plant was part of a major international conglomerate – an amazing example for how to set and achieve objectives. Why are they so rare a phenomenon in industry? The company (whose production site here is a portion of it) has implemented Toyota's Lean Production methods for years, and all of them – up to the last employee – is connected to the objective and effort of efficiency: "to manufacture at the highest quality and the lowest cost". 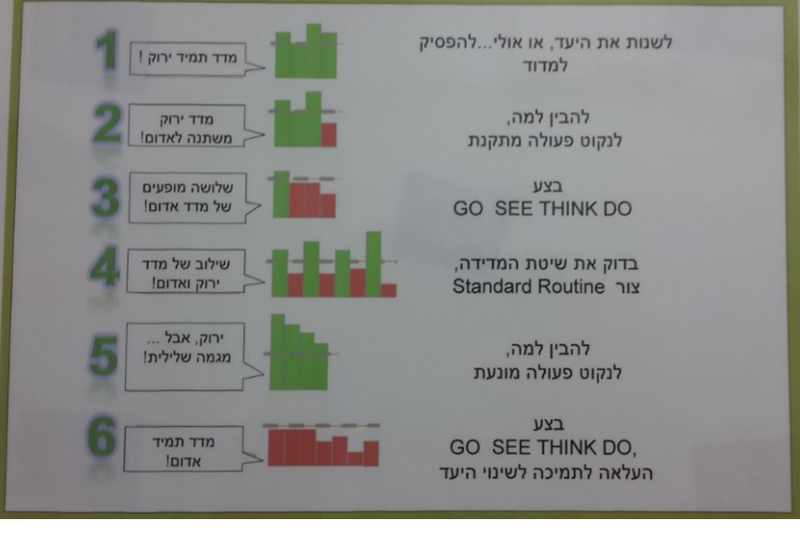 Although every new standard (at this company) requires the approval of the Group's CEO in Israel and every one holds several positions, there is an engineer each time, whose specific role is to evaluate performance and to lead to effort towards efficiency.In addition to him/her, engineers have currently been introduced to lead the assimilation of lean production. For approximately every 50 employees there are two engineers. One is in charge of performance evaluation and leading efficiency, and the other is in charge of leading the implementation of lean production. Each one leads to savings of hundreds of thousands of NIS each year. This position is the standard for an international company. I know it well from personal experience and might even call it a money-making engine. How many Israeli CEO's are willing to approve this standard? 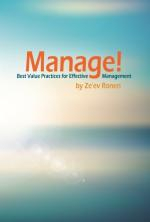 Various measures are evaluated on a daily, weekly and monthly basis, in management/employee forums. Non-attainment of objectives is awarded with analysis and corrective actions. When the measure is always green (attaining objective): Change the objective or stop monitoring. If a green evaluation changes to red: Understand why. Take corrective actions. Three instances of red measures: Conduct an investigation to determine the root reason (Go, See, Think, Do). Combination of green and red measures: Check your evaluation method. Green with a negative trend: Understand why, take preventative action. Constant red measure: Conduct an investigation to determine the root reason (Go, See, Think, Do). This particular production site and the company it belongs to are a rare example in Israel's industry? Why is that? Everything begins with the CEO. When the CEO is committed to objectives and demands that his/her lower management maintain them or present him/her with a program for improvement, he/she will get an attainment of objectives. Only in extreme situations should there be a need to replace people. Monitoring and evaluation, even on a daily basis, is required to relate to results and to constantly correct where needed. Commitment to objectives is part of the whole culture. There is no room for "sometimes committed". Monitoring and the time dedicated to results analysis costs money, it is true, but they are the condition for creating more money. I invite all interested readers to contact me by phone or email with questions regarding monitoring and setting objectives.